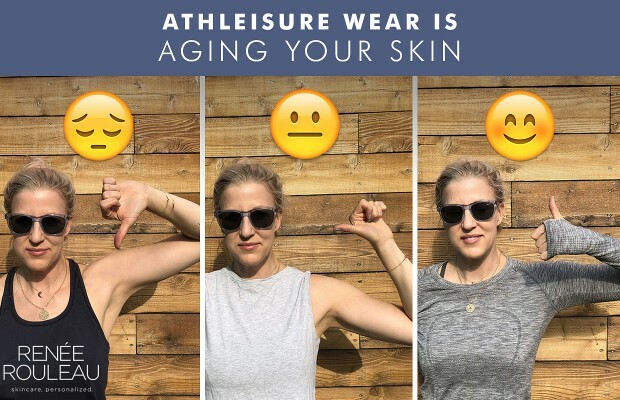 This may come as a surprise but athleisure wear is aging your skin without you even realizing it. (I’m specifically looking at you, tank tops!) When it comes to how your skin will age, every decision that you make day in and day out matters. 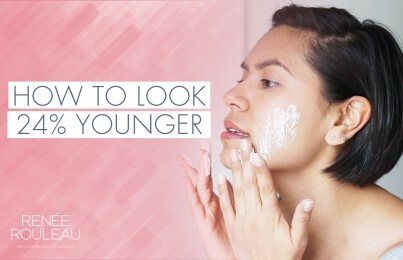 There is so much emphasis on skincare products being the cure-all and while they certainly play their part, it’s important not to overlook how much skin you’re showing with your clothing choices. Athleisure wear is aging your skin and tank tops are the biggest culprit. For the last few months when I’m at the gym or just being out and about in Austin, I have asked 100 females wearing tank tops this question, “Are you wearing sunscreen on your chest?” Only eight out of 100 said they had applied sunscreen on their chest. This doesn’t come as a surprise to me because I know that people are more focused on protecting the skin on their face than anywhere else on the body. I certainly used to be that way as you can see from the damage on my chest. When you wear a tank top during outdoor exercise or as part of your daily wardrobe, your chest is front and center for receiving major sunlight being blasted right onto your skin. This occurs regardless of whether it’s 95°F degrees in summer or 75°F in spring or fall. When the skin is exposed, you’re getting it. This sun damage will show up later in life in the form of wrinkles, brown spots, dilated capillaries and crepiness. Pay attention to what areas of the body your clothes reveal. When I got into my mid-40s, I really noticed the sun damage coming in strong on my chest. Even though it’s a bit late, I made a decision to use clothing as an easy-hassle-free way to protect my skin. I gave up wearing tank tops when I exercise outdoors and I’ll even wear this long-sleeved jacket if I’m taking my dog for a walk. Yes, I could keep wearing tank tops and be really good about sunscreen application, but I choose the easier path by just covering up my chest with clothes. Here is how I apply sunscreen to my face and neck. It’s easier to protect the skin with clothing than having to fuss with sunscreen application. In the picture above, you can easily see why athleisure wear is aging your skin. Pic on left: This is what I no longer wear when outdoors. As you can see, the skin on the chest (and arms) is not protected at all. Middle pic: In the hot Austin summers, this is what I usually wear—a shirt on backward. Yes, backward. By turning it around, the back side of the shirt gets raised a bit higher up giving my chest more of a cover-up. I’ll then apply sunscreen to my arms and hands. My very favorite sunscreen for my face is Weightless Protection SPF 30. Pic on right: While I wish I could wear this shirt year round, the material is too thick and isn’t ideal for intensive workouts. I reserve this for when it’s below 65°F such as in winter. However, as you can see, it covers my hands which is awesome. I consider this shirt to be a one-stop shop for covering everything from the neck to the waist. Note: The tops I’m wearing are not officially SPF-approved. Meaning, there are brands that specifically focus on blocking out all sunlight by using thick and opaque materials. However, they aren’t ideal for sweating because they don’t breathe well. What I’m wearing is still doing the job—especially because the material is not sheer and see-through. Every skin decision you make adds up over the course of a lifetime. I can assure you, no one has ever said, “I wish I protected my skin less when I was younger.” Preventing skin damage is so much easier and less expensive than trying to get rid of it once it appears. If you’re in your teens reading this and you start paying attention to what you wear, you will be so ahead of the game later on. If you’re like me and in your 40s and beyond, no worries, I have tips to repair sun damage on the neck and chest. I hope this post, like all of my posts, gives you some new information to think about in your quest for the best skin of your life. Want to learn more about skin? Read 10 skincare rules I swear by. Are you someone who exercises regularly? 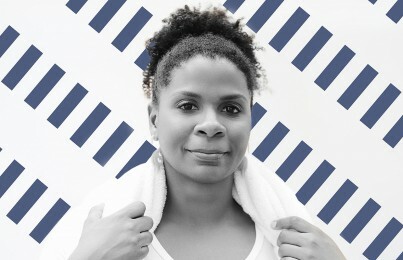 Read how to care for your skin when working out.